Based in Southern California, Emily is an award-winning photographer and videographer who specializes in landscape, aerial, and portrait work for her clients. Early in her career, she focused primarily on portraiture and wedding photography, but it was through her commercial real estate clientele that she fell in love with flying drones. Now she lives for the thrill of capturing images that would otherwise be missed by the human eye, and the countless hours of concentration involved to edit them to perfection. From a bird’s eye view, Emily believes anything is possible. 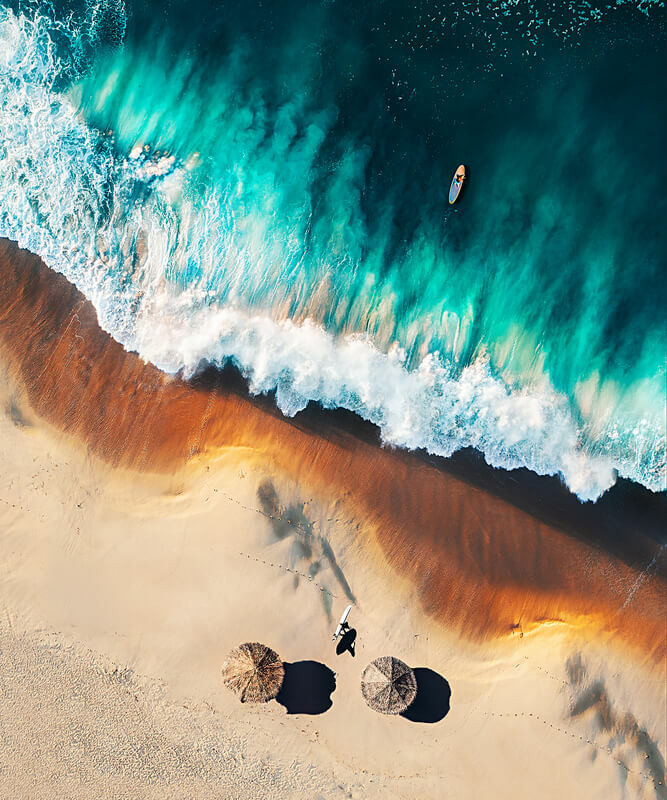 With a focus on composition, colors, and contrast, Emily’s unique aerial videos and stills have caught the attention of industry influencers. With a BFA in Portraiture from the Brooks Institute of Photography in Santa Barbara, Emily relies on her classic training and technical education as a foundation to capture images that are not only visually stunning, but also emotionally captivating. By balancing her formal education with an authentic passion for storytelling, Emily’s work has been regarded for its dynamic range, unusual use of color, and sharp clarity. 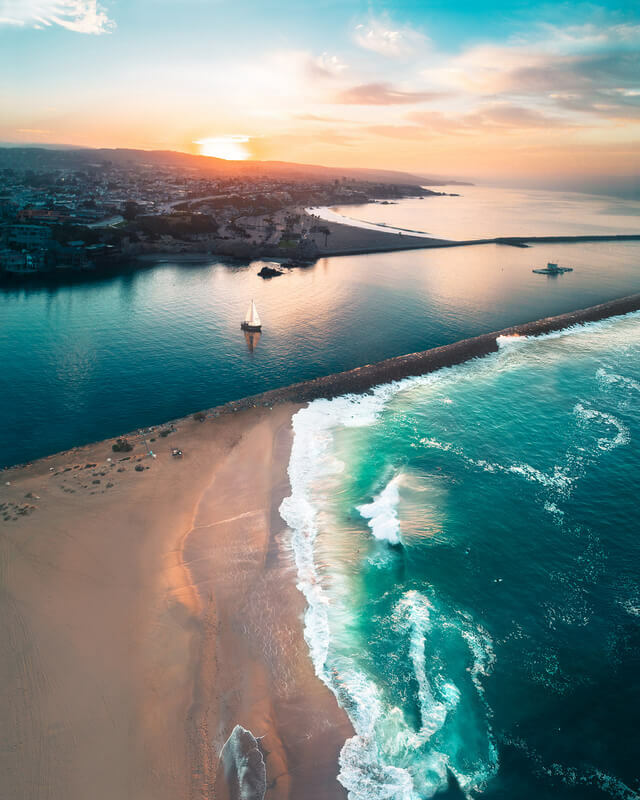 Currently residing in Newport Beach, CA, Emily loves the outdoors and embraces opportunities for travel and adventure with her Phantom 4 Pro, but will always remain especially grateful to call Southern California home. You can find more of her work at her website. Each day is never the same. I am typically up and out the door by 6:30am, either shooting content for myself or flying for a client. I like to plan out my shots in advance, so I’ll location scout spots to see what time of day is best to fly. I have to pay attention to not only weather reports, but also surf reports if I’m flying over surfers. As for generating new ideas, I tend to have my best ideas in the shower, or when I’m out on a hike in nature. It forces me to disconnect and visualize something entirely new to develop my style. I feel very connected to nature, so I find that it inspires some of my best work. Where do you see platforms like Instagram heading in the future? What role will drones, stablizers, or other technology play? Kaszton will be speaking at Photocon in June, 2018. You can find more information and sign up for the event here.